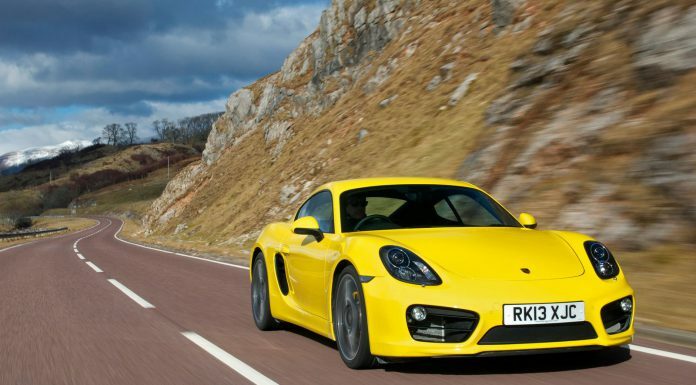 We’ve made you wait long enough for our opinion on the Porsche Cayman S! 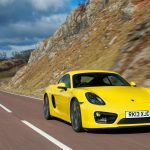 Having already reviewed the base level Porsche Cayman (and loved it), the 2013 Porsche Cayman S adds a larger engine and a few mechanical changes to the same platform. Yet the question has to be asked, does it offer more over the basic Cayman package? Or is it just for those that want the top of the range model? We found out on Scottish roads! 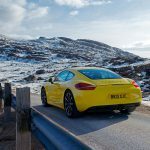 As we have already explained, the brand new Porsche Cayman has injected some desirability into what was already a fantastic package. 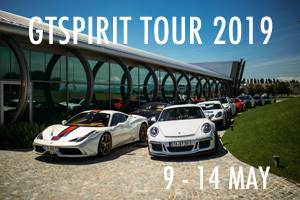 It has shaken the ‘poor-mans Porsche’ image. Instead it looks less awkward and has a stronger identity of its own, which is of course, the first step to attracting new customers! 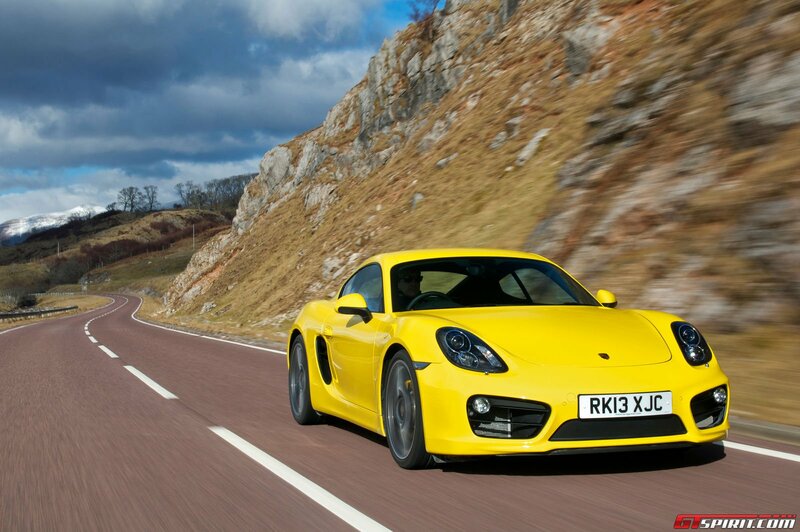 All Cayman models are powered by a six cylinder boxer engine. 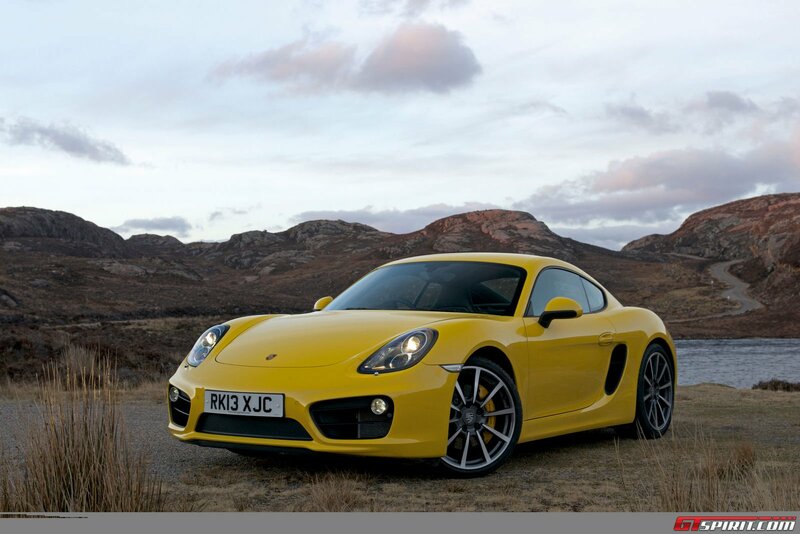 In the Porsche Cayman S, customers will get a refreshed version of the 3.4 litre unit. 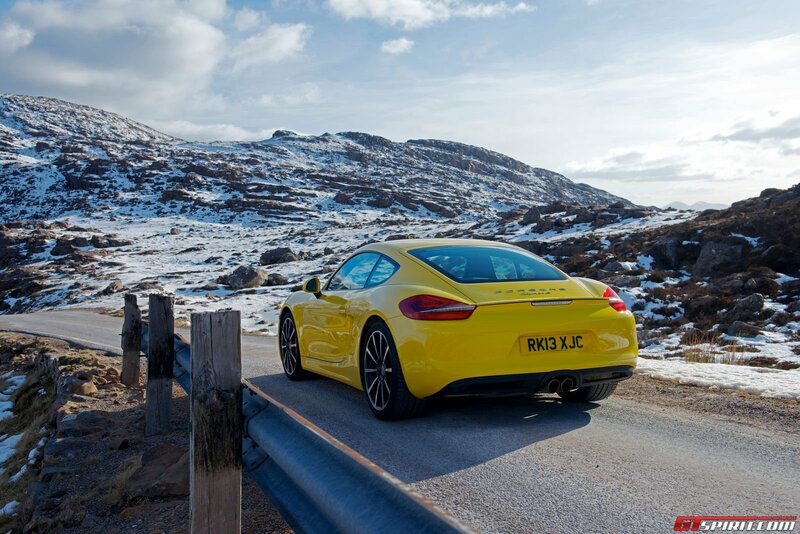 It adds an extra 50hp over the standard Cayman package. That translates to half second gains on the run up to 100km/h and an extra 10mph over the standard car’s quoted top speed. Overall, with PDK speced, 0-100km/h time is 4.9 seconds and the top speed is 281km/h with PDK equipped. 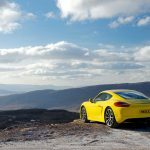 So the Porsche Cayman S introduce slight performance gains, yet fills the model range gap between the base Cayman and the 991 Carrera base model. 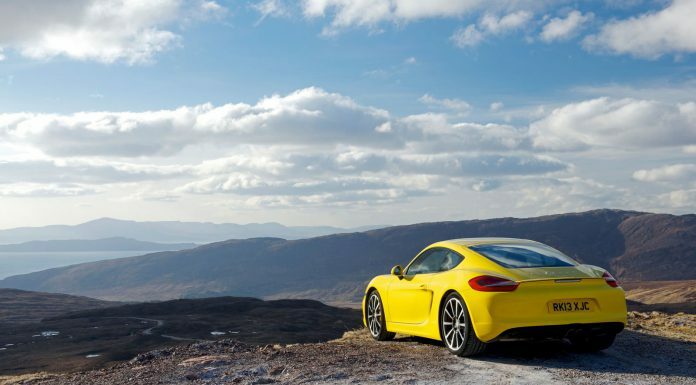 Porsche still offers a 6-speed manual gearbox with the Cayman S as well as the seasoned PDK 7-speed. 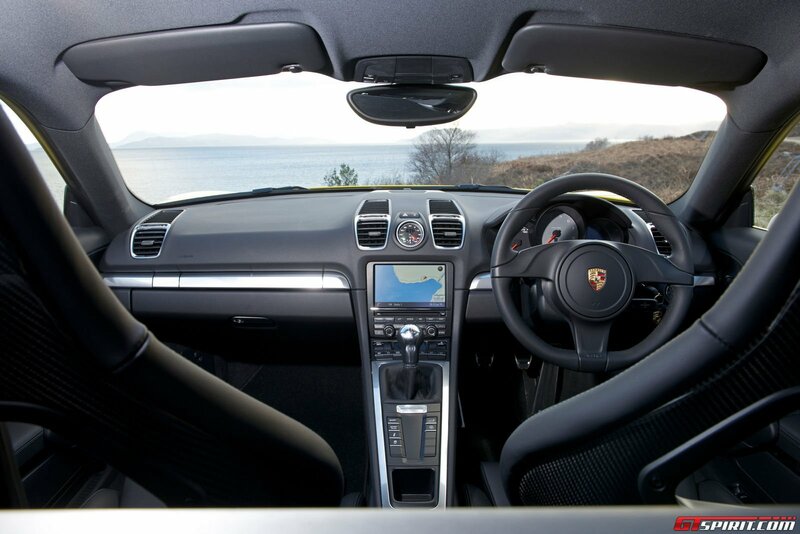 There is a marked difference between the two, with the PDK geared to produce more performance at lower speeds. 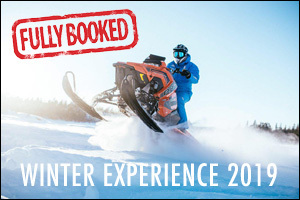 The manual actually benefits from a marginally higher top speed. Visually, the Cayman S gets larger front air inlets framed by black plastic strakes instead of the body coloured versions found on the standard car. 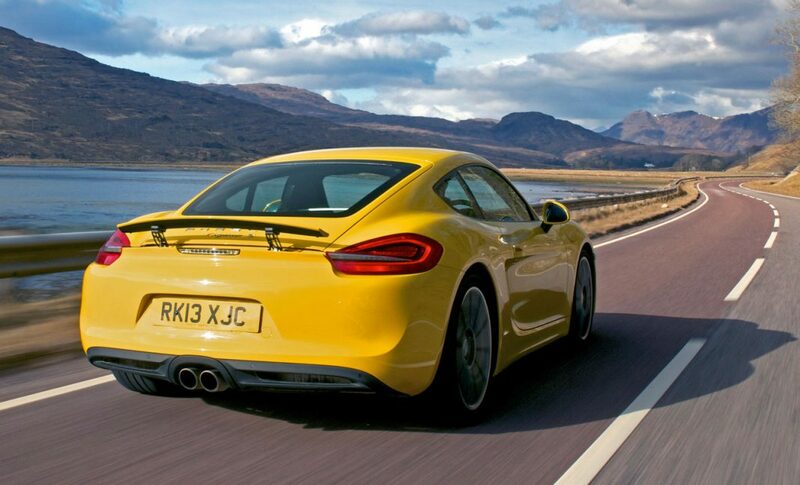 The Cayman S also gets dual exit exhaust tips instead of the standard Cayman’s one. 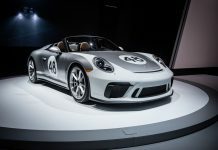 Overall, the differences are inkeeping with Porsche’s design philosophy. That is to say that if you were a casual bystander with no knowledge of the Cayman itself, you probably won’t be able to tell the difference. 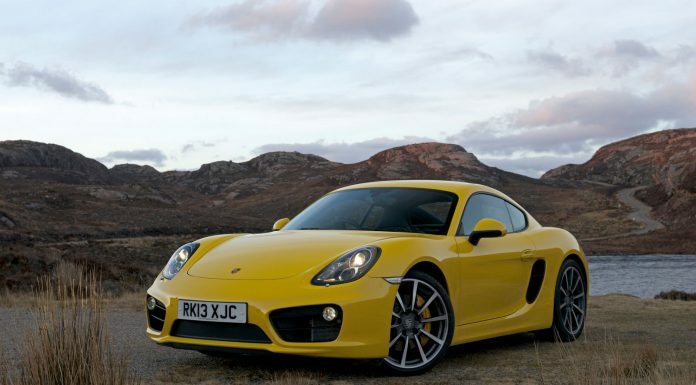 By now you are probably thinking that the Porsche Cayman S is the closest you can come get to the 911 range. It feels a little different though. The balance is a litte different; it is a rear wheel drive mid-engined coupe. Yet it ditches the 911’s rear seat row and sits on the Boxster chassis with a Boxster footprint. This makes it 10 centimetres shorter in length but with a slightly longer wheelbase. Naturally, all four wheels are further towards the edge of the bodywork with benefits for handling and of course, for disguising the swell! 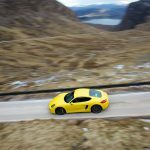 So with the combination of a larger footprint, a lack of rear seats and a PDK equipped unladen weight of 1,350kg, the Cayman has major sporting credentials. That’s what sets it apart from any of its rivals. It really does handle as a proper Porsche should. It is stable, the power is useable and the chassis is very well setup. 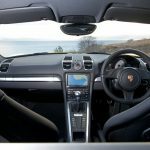 As with all Porsche models, standard equipment is fairly basic, most will want to add the PDK option (which is not standard), the Porsche Active Suspension Management System (PASM), the fantastic Porsche Torque Vectoring (PTV) system and the sports exhaust system. 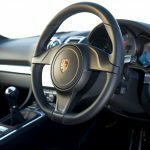 As we explained in our earlier review of the entry-level Cayman, with the exception of the PDK option which will be a matter of personal choice, the PASM and PTV options are well worth the investment. PASM provides owners with an adaptive damping system. It is programmable by the driver through the touch of a button on the centre console. The Sport button activates a harder suspension setup whilst Sport + optimises the setup for track use. 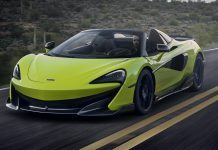 The PVT system varies the distribution of torque to the wheels which allows owners to exploit the power and performance of the car to the maximum. It is a clever piece of kit that uses braking to balance the handling of the car while you test its limits. 19 inch wheels come as standard but can be customised in a variety of different ways. Porsche also offer on further style of 19 inch wheel and three sets of 20 inch rims. 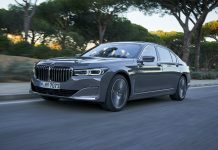 It rides better on the 19 inch wheels as you would expect, yet many will choose to upgrade purely on account of the looks. 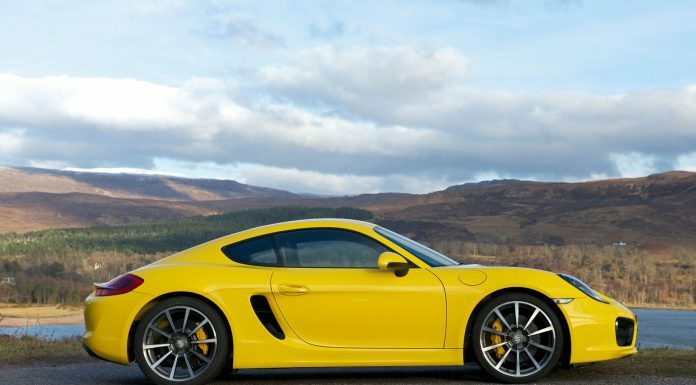 On the Porsche Cayman S, the braking system is very similar to the standard Cayman model. 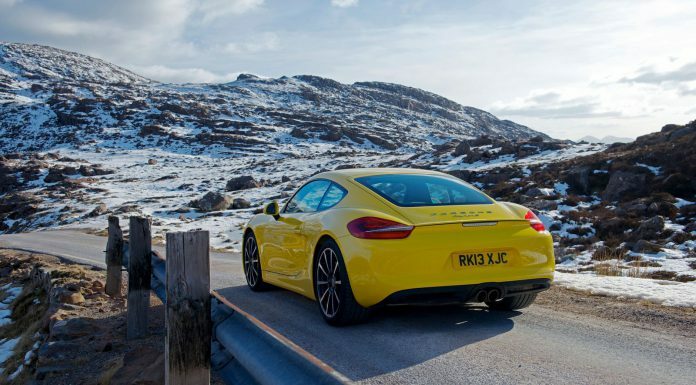 The rear retains 299mm internally ventilated discs, whilst the front gets a larger unit, measuring 330mm rather than the standard Cayman’s 315mm discs. Calipers are finished in red for the Cayman S rather than the black you get on the standard Cayman. 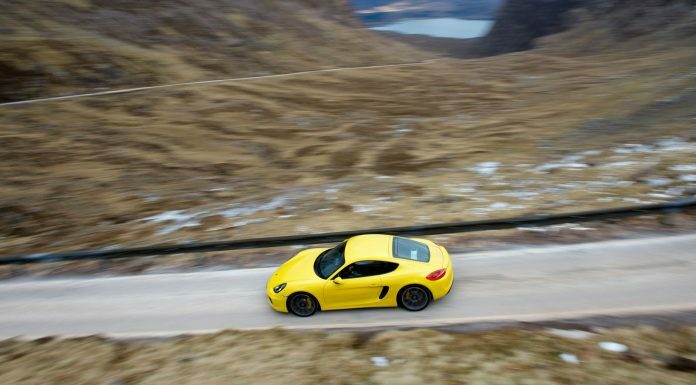 The Cayman S feels stronger under hard braking, although the change is only relative to the boost in performance. Those that really want to tick every option box might be inclined to go for the ceramic braking option Porsche offer. However it seems like it would be an overkill on the Cayman S, especially considering the standard units are nice and effective. 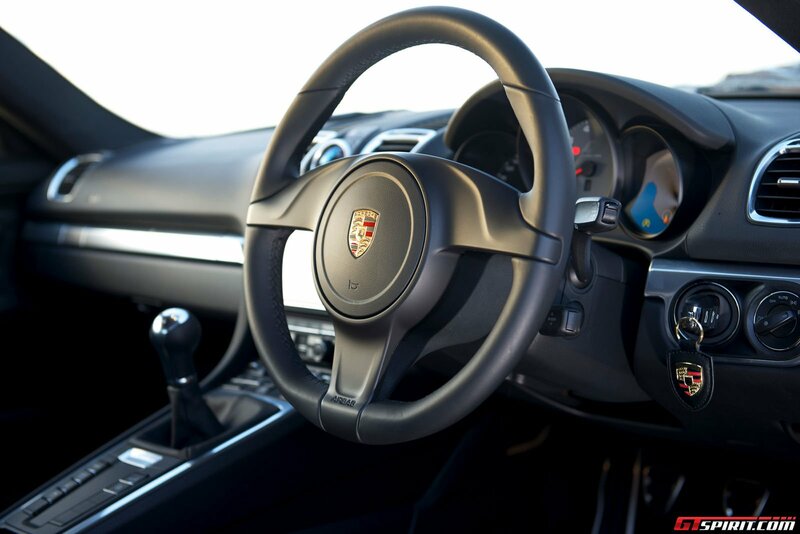 Inside, the Cayman gets a sophistocated, typically German interior. There is plenty of leather, low sports seats and a trim pieces finished in aluminium. The gear shifter sits close to hand on a raised centre console. Truth be told, the driver feels cocooned behind the wheel. 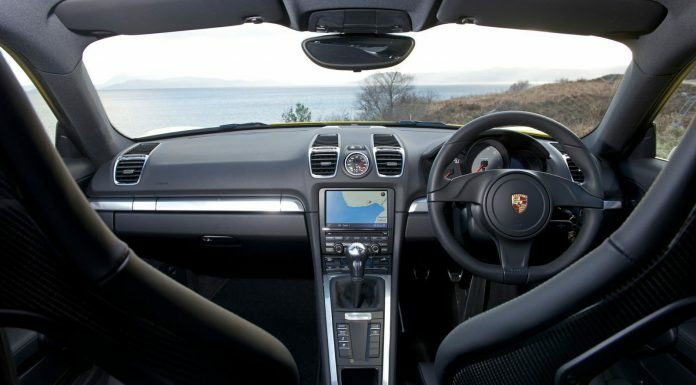 The standard options list is missing a sat nav system and phone compatibility, yet Porsche do offer this at an extra cost. 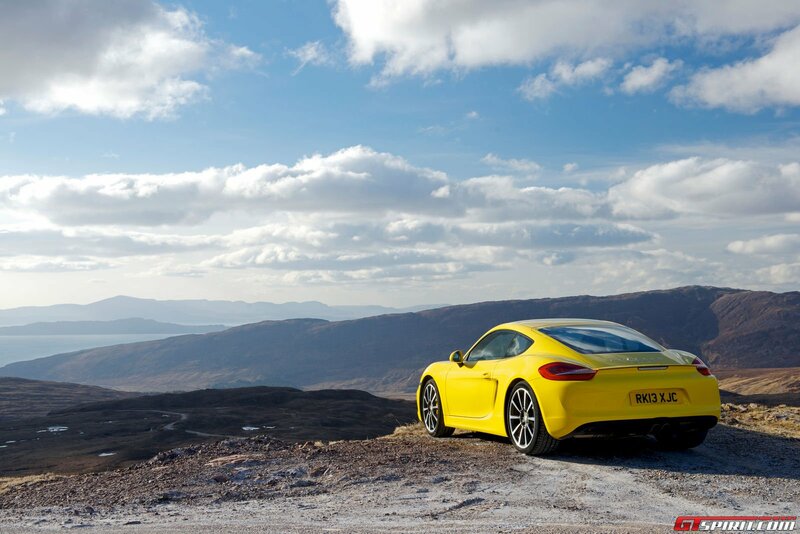 In the Scottish Hills the Porsche Cayman S clearly shows where its extra power comes to use. It packs a bit more punch coming out of corners and on long straights. However that does not make it immediately an autobahn monster, at higher speed it starts to feel a bit light. 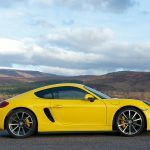 Understandably the Cayman is not made as a GT for long journeys on the German autobahn but as a true sportscar you can enjoy on the track or in the countryside. 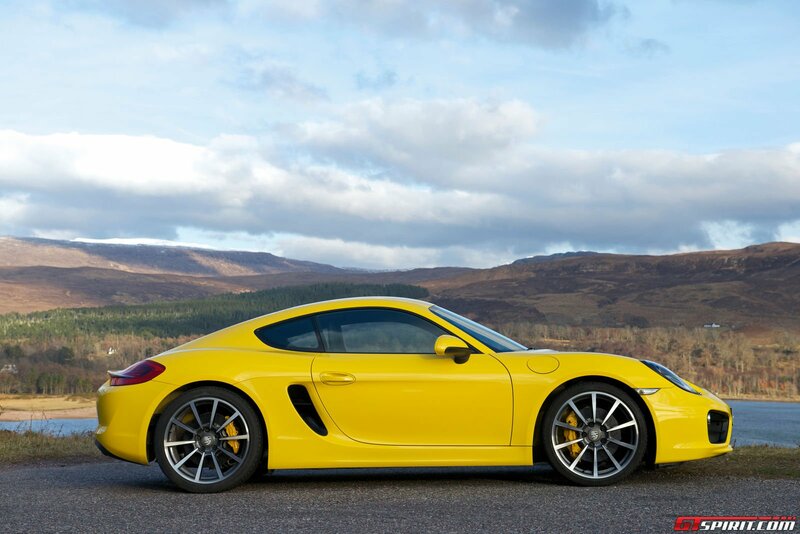 Like with the normal Cayman the choice for manual or PDK is entirely up to personal preference. 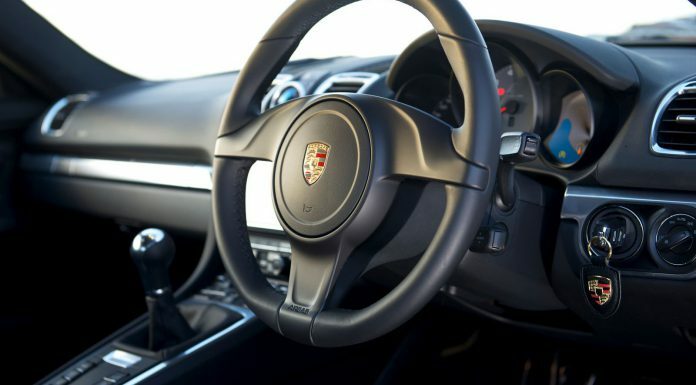 The manual works flawless and shifts directly, while the PDK offers incredible quick gear changes and a decent automatic mode. In the S we would opt for the PDK. 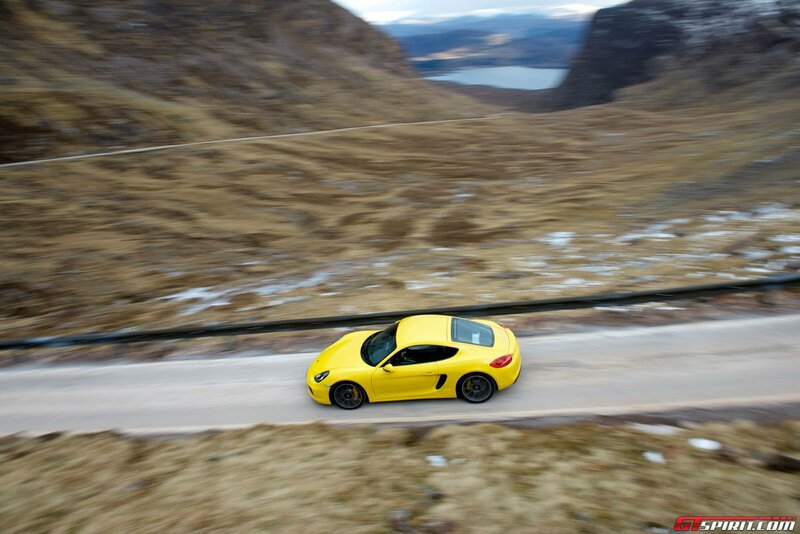 Surprisingly enough its not the Cayman S but the less powerful non-S Cayman that offers the best tune. 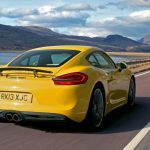 Possible because of the single vs double exhaust the sound from the Cayman has a higher pitch where the Cayman S sounds a bit muted in the higher rev range. 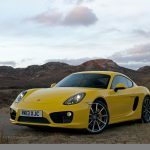 Overall the 2013 Porsche Cayman S is a car that earned- and deserves respect for its excellent handling and new looks. 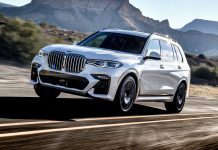 It offers more than you would expect from a car in this price range and is capable to battle with cars way beyond its own market range on track. 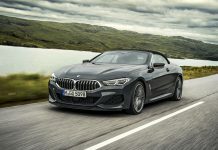 It comes at a price though, some highly desirable options like the PDK gearbox, PASM, PTV and things like climate control or satnav all come as optional extras. 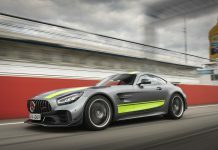 But purist looking for the ultimate mid-engine manual sportscar might have found the best match on the market today.